The Timberlane Regional School District and Community Partnership Program is pleased to announce a new partnership with Access Sports Medicine. Access Sports has been working with Timberlane for the last two years by providing athletic trainers. 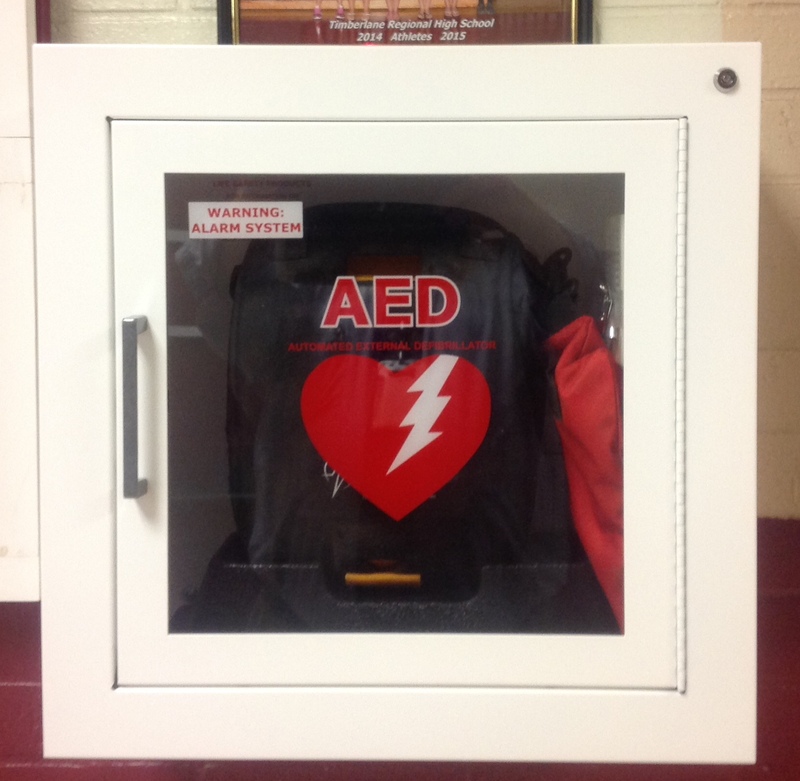 In an effort to heighten our protection for athletes and the general public who attend events on our campus, Access Sports Medicine has generously donated a mobile Automated External Defibrillator (AED) that has been installed in the athletic wing of the high school. This device will be available to our athletic training staff, coaches, and physical education teachers for daily classes as well as for all home athletic events and practices. Safety for all of our students, athletes, and home and away fans is paramount here at Timberlane and we are proud to work hand in hand with Access Sports Medicine to provide this equipment for that purpose. Additionally, we are happy to welcome Access Sports Medicine to our growing Community Partnership Program and thank them for their generous donation and support. Know of a business that might be interested in partnering with us? Please share our link below for more information on how to become a partner or call Scott Strainge, Business and Community Partnership Program Director at (603)382-6541 ext. 3907. Supporting public education through business partnerships is a wonderful way to give back to your patrons and the community members who support your business.